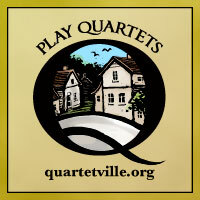 Quartetville had the chance recently to talk with a whole family of musicians. 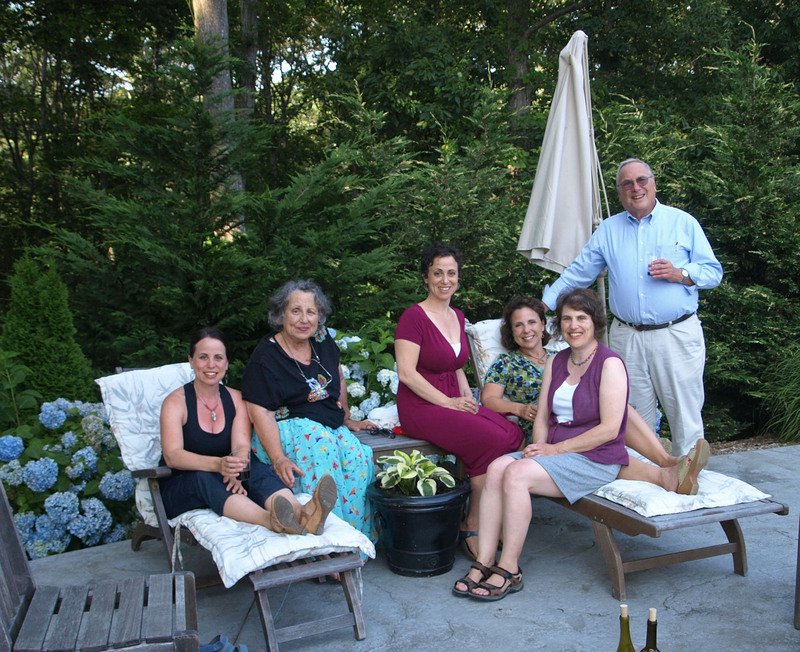 They are the Greenebaum family from Amherst, MA, whose four daughters comprise a quartet. 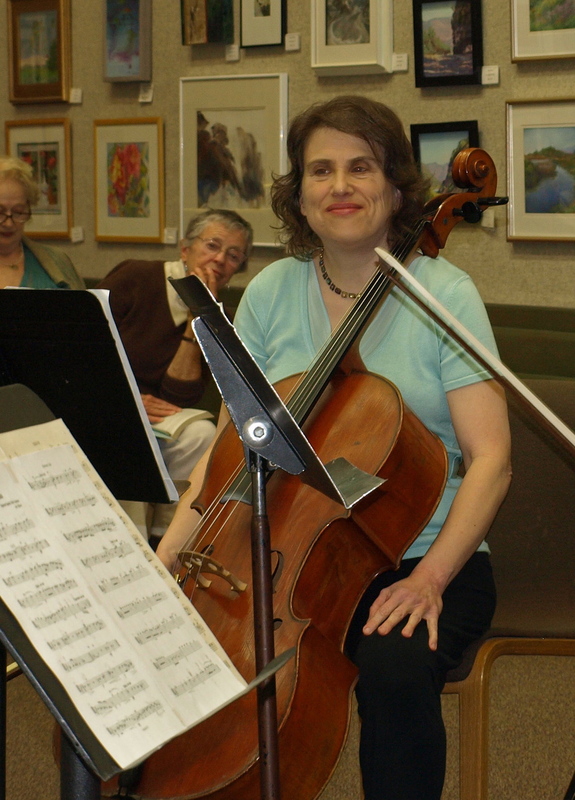 Sally, who plays cello, is the oldest, followed by Katie, who plays violin and viola, Debby (violin and viola) and Susie (also violin and viola). Their parents, Linda and Michael, are both musicians. Linda came from a musical family where her sister was a child piano prodigy and later a concert pianist. In the light of her sister’s talents, Linda, herself a very fine violinist and violist, found her parents supporting mainly her intellectual pursuits (she attended Harvard). Michael was the one in his family who cared most deeply about music; he played double bass, recorder, conducted from an early age, and added the cello in college. The Greenebaums raised four daughters who all still play and continue to lead very active lives in music. What alchemy is at work there? How do you get that far? Why do parents organize that many lessons, insist on that much practice, create and support opportunities for ensemble playing? Starting the girls on instruments was just the beginning: Sally and Katie started piano at 5 and 6 respectively. Sally began cello at age 7, Katie started viola with her mother at age 9, Debby began violin when she was six and it took another six years for her to ask her mother for any advice “or at least not stomp my feet every time she said anything…” Susie who, according to Linda, “maybe we started too early (at 4)” was already quite proficient on violin by age 6 or 7. 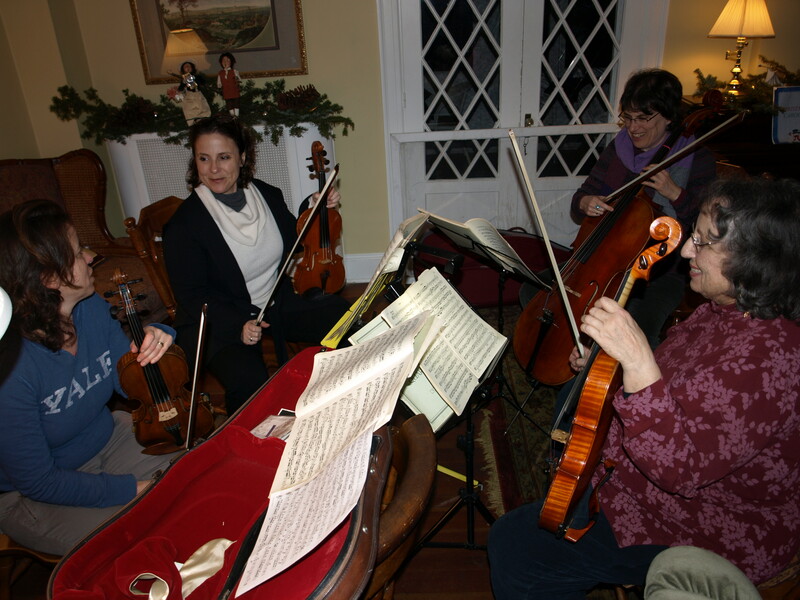 All six family members independently remembered the Brahms G major sextet (Op. 36) as their signature piece. They recalled different aspects: the matching long dresses they wore, performing in nearby cities, a performance of an abridged version (made by one of the parents) at the Amherst library so that Susie, the youngest, could also play, and, as grown women, making Michael play with them as a surprise at his retirement party. How did playing together become the family culture? “It’s funny, I don’t quite remember not doing it,” recalls Debby. And Susie said the same thing. 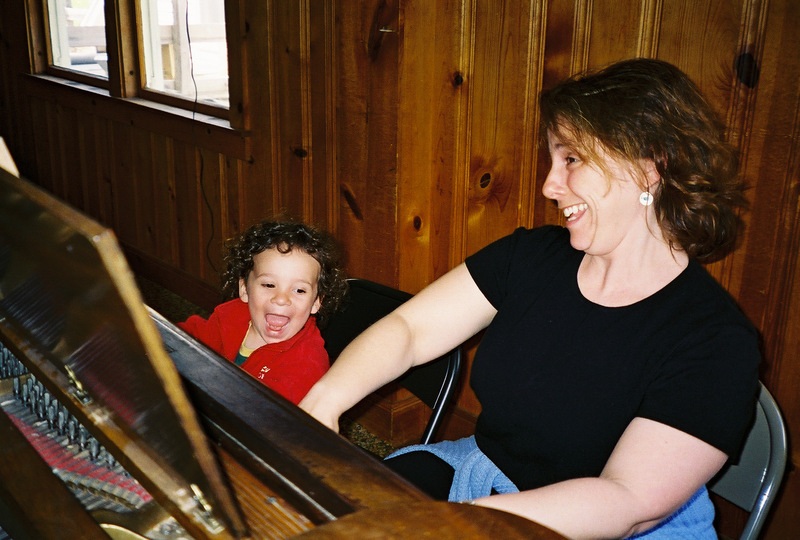 She wrote her college essay about “How music was the way that my family could communicate… It was a non-verbal way of connecting, a non-conflictual language.” Non-conflictual that is, once they all finally sat down to play. “I think it’s pretty remarkable that all of us play and that my sisters are trying to get their kids to play. It’s not easy. It is so much about who they are in their relationship to each other,” says Linda’s youngest, Susie. When did it start to become fun? Michael: “I sensed that it was always fun. One of the things that I sort of regret was that we were not taskmasters as far as practicing was concerned. Because they were so good at sight-reading and they had sort of an innate musicianship, they got away with murder. They didn’t do a lot of practicing. And that is one of things that may have made it fun, I suppose. Linda remembers that her daughters, “were not music nerds: their social lives were much more important to them – and their academics.” She remembers going to their lessons as much as she could. “I always went; sometimes I slept through the lessons. I took it very seriously, but with a sense of humor because that is the way I am. I think that may be why they all turned into players – that I wasn’t a slave-driver. I noticed that my example was not too intimidating, and their father as well. We were good musicians, but not great. Do you feel like your parents worked really hard to take you to the level where it would be fun to play? 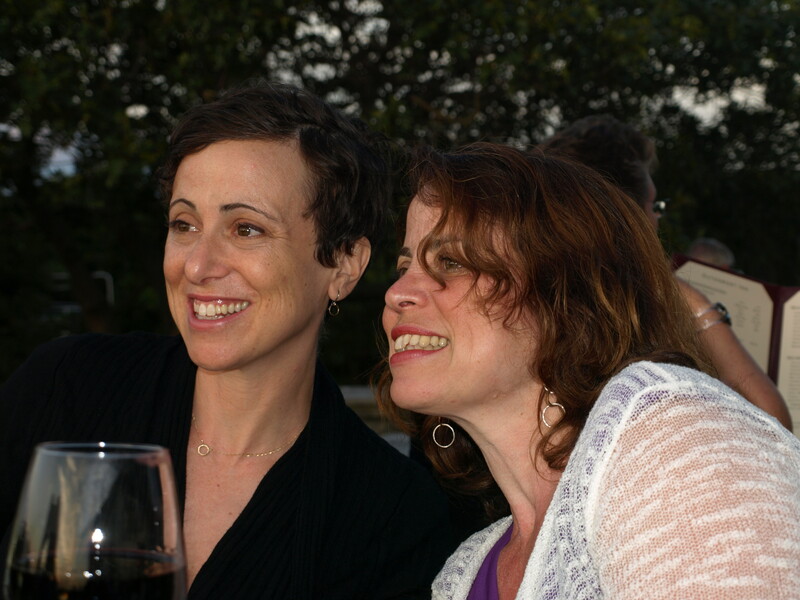 “When our parents went to chamber music parties,” says Katie, “we went with them. The nice thing about growing up in Amherst was that there was a really good community around playing strings. My friends were in that community. The school had a really good string program; everyone in my family played strings – there was never any question about whether I was going to do it or not. And I had a quartet at school. Two of my best friends would come play music one afternoon a week. 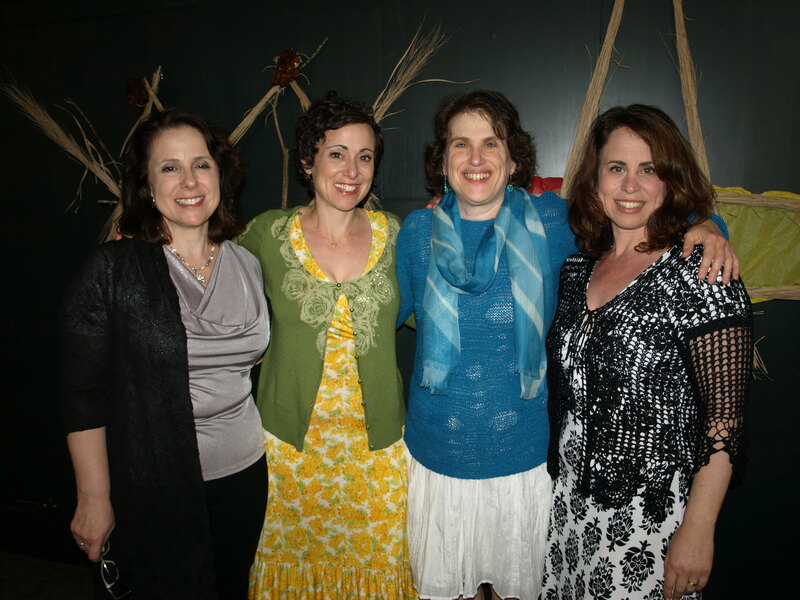 Now the sisters are geographically scattered: Sally is an occupational therapist living in Santa Barbara, CA; Katie teaches English at a private school in Nashville, TN; Debby teaches violin and directs a summer chamber music camp in Massachusetts; and Susie is a therapist and social worker in New York City. Yet they share a life-long passion for music. Sally is on the board of the Chamber Music Society of Santa Barbara, which organizes weekend-long retreats for amateur chamber music players. In addition to teaching English, Katie directs a chamber ensemble at her school and finds herself jamming with other Nashville musicians. Debby is a professional musician who teaches violin and is the new director of Junior Greenwood Music Camp in Cummington, MA, and Susie, who played with a Mexican orchestra after college, most recently played for Amore Opera in NYC. What is the significance of chamber music to you, Sally? What distinguishes this from meeting a friend, say, for coffee? The length of time invested is a really significant piece of this and it presents its challenges. What’s the reward, why are you tenacious? In my first reply to a “blog,” I want to thank Quartetville for laying a lovely canopy over my life as mother to these 4 wonderful women. I do want to comment on the paragraph comparing my girls to the two daughters of my sister, the very successful concert pianist mentioned above. One of those girls was a very lovely singer through college, and now, in her early 40’s, is polishing both voice and violin, and teaching Music Together, as well as raising her two girls with music. My comment to the interviewer, though containing a grain of my concept of truth, was more negative than I intended.